Kaur was sentenced to five years’ imprisonment by a Patiala Special Court on March 30, 2012, holding her guilty of forceful abortion and illegal confinement. 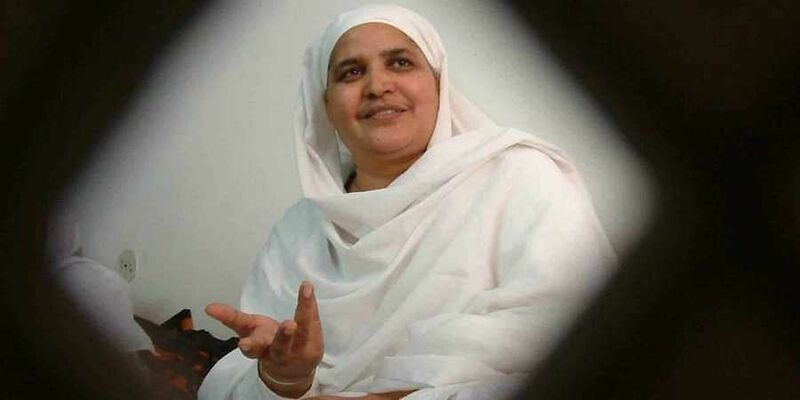 CHANDIGARH: Punjab and Haryana High Court on Tuesday acquitted former Shiromani Gurdwara Parbhandak Committee (SGPC) chief Bibi Jagir Kaur and co-accused in her daughter Harpreet Kaur’s murder case. Kaur was sentenced to five years’ imprisonment by a Patiala Special Court on March 30, 2012, holding her guilty of forceful abortion and illegal confinement. She had appealed against the trial court order in high court in November 2012. Kaur who had to resign as the cabinet minister after her conviction, could not contest last year’s assembly elections. Pronouncing the order the division bench of Justice AB Chaudhari and Justice Kuldip Singh allowed her appeal and set aside the order of Special CBI Court in Patiala which had imposed five years imprisonment along with a fine of Rs 5,000. "All appeals filed by the convicted accused are allowed. They are acquitted of all charges. The judgement of the trial court is set aside. Appeals filed by the CBI and complainant are dismissed," the bench stated. The judgment in the case was reserved in October by the division bench. Both Kaur and the CBI have filed appeals in the high court. Kaur has moved the high court through senior advocate JS Bedi. Bedi said, "Jagir Kaur’s appeal has been allowed and acquitted of all charges. CBI’s appeal seeking conviction for murder has been dismissed." The apex agency had been claiming that the trial Judge failed to appreciate that Harpreet’s death was homicidal and committed a grave error in law in not giving a finding that the death was under mysterious circumstances. The CBI in its appeal has stated that Harpreet was abducted on March 18, 2000, from Chandigarh after being sedated. She was confined at her trusted friend Dalwinder Kaur Dhesi's residence in Jasdil Mansion at Phagwara. Her pregnancy was terminated against her will on March 20, 2000, at Kartarpur by Dhesi who was Kaur’s political confidant Paramjeet Singh and approver Dr Balwinder Singh Sohal. The CBI had claimed that the trial judge committed a grave error in disbelieving Sohal's testimony as far as the conspiracy to murder was concerned while believing his witness regarding conspiracy to kidnap, wrongfully confining Harpreet and terminating the pregnancy. Police sources said that Kaur’s daughter 19-year old Harpreet had reportedly been in a relationship with one 21-year Kamaljit Singh of Begowal in Kapurthala district. She was then the president of the SGPC and had opposed their marriage and on April 20, 2000, she was killed. It was on Kamaljit’s plea that the high court had ordered a CBI probe. Harpreet was reportedly cremated in a hurry without any post-mortem and Kamajit had alleged that it was Kaur who had conspired to murder her daughter.